Pittsburgh Steelers season ticket holders may transfer their seat license to another party. In order to do so, all parties must complete the below transfer form and follow the correct steps. A transfer will not be finalized until all steps have been completed. Transfer requests must be submitted on a Pittsburgh Steelers Seat License Transfer Form. Transfer requests will not be accepted by phone or email. As of May 1, 2010, there will be a $50 transfer fee for each Transfer Form, payable by check or money order only. Checks/money orders should be made payable to Pittsburgh Steelers. The Transfer Form must be completed in its entirety. Incomplete Transfer Forms will be returned to the Transferor. Only one Transferee can be named on a Transfer Form. If you are transferring seat licenses to more than one Transferee, a separate Transfer Form must be submitted for each Transferee. The Transfer Form must be signed and dated by the current license holder (as Transferor) and by the person to whom the seat license is being transferred (as Transferee). Transferor and Transferee must each submit a copy of his/her driver’s license or government issued photo I.D. In order to qualify for a seat license transfer, Transferor’s account must be current and in good standing with no outstanding balances. 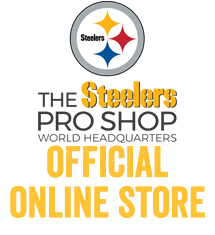 Transfer requests will not be processed until the Steelers have received full payment of all outstanding balances due on Transferor’s Account. The transfer will not be effective until Transferee signs and returns a new seat license agreement which will be issued in Transferee’s name, a new account number is assigned to Transferee, and the transfer is recorded on the books of the Steelers. Transferee will be notified in writing when the transfer is effective. Until the effective date, Transferor will remain the holder of the seat license(s). Sending a self-addressed, stamped envelope to the Steelers Ticket Office, Attention: Transfer Form Requests. Credit balances remaining in discontinued accounts will be refunded to Transferor within six (6) to eight (8) weeks. The Steelers will not transfer money between accounts. For transfer requests received after season tickets have been sent to the current license holder, the Steelers will not be responsible for delivering tickets to the Transferee. The Steelers shall have no liability for claims of entitlement to tickets as between Transferee and Transferor. Transfer requests will not be processed between November 1st and the last game (regular season or playoff) played by the Steelers during that football season. A seat license may not be transferred more than once per calendar year, except in the case of the death of the license holder or at the sole discretion of the Steelers. There shall be no joint-ownership of any seat license. There may only be one license holder for a given seat at any given time. In addition to all other items required for processing a transfer request, the following requirements must be met: (1) a certified copy of the death certificate of the deceased license holder must be submitted; (2) the Transfer Form must be signed by the Executor or Administrator of the deceased license holder’s estate; and (3) the Executor or Administrator must submit official evidence of his/her capacity. In the case of an Executor, a recently-dated short certificate of Letters Testamentary must be submitted; or, in the case of an Administrator, Letters of Administration, bearing a raised seal. For seat licenses held in the name of a corporation, partnership or sole proprietorship, the Transfer Form must be signed by an authorized official of Transferor and must be accompanied by appropriate legal documentation (e.g., corporate resolutions, partnership authorization, merger papers, officers certificate) showing his/her authority to transfer ownership of the seat licenses. Transfer requests involving handicap accessible or wheelchair seating must be designated as such on the Transfer Form and will be handled by the Steelers on a case-by-case basis. Please allow at least six (6) to eight (8) weeks for the transfer process to be completed. The Steelers will not conduct or permit stadium tours related to the transfer of seat licenses. The Terms and Conditions of this Transfer Policy, Restrictions and Guidelines are subject to change without notice.